Founded in 1933 by Doane Lowery, who was a trained YMCA administrator, Flintridge Preparatory School for Boys began with 22 students on a bucolic patch of land in then-rural La Canada. 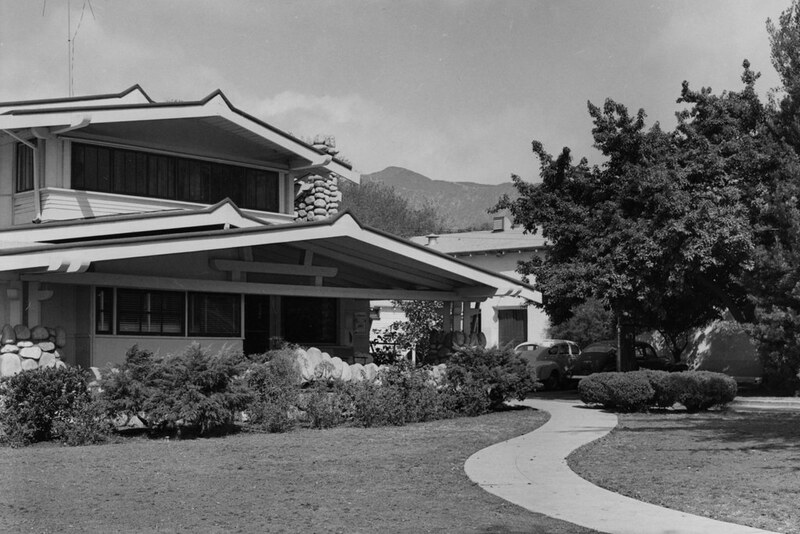 A “non-sectarian, non-military, non-profit” college preparatory school, Flintridge Prep served third grade through high school students—including a small number of boarding students—with a starting roster of 7 teachers, one of whom, Malcolm Dickinson, became headmaster in 1935. Prep’s first (lone) graduate was Peter Schenck ’36. Tuition in 1939-40 was $135 per month for boarders and $65 per month for day students. In 1940, Flintridge Prep was a founding member of the California Association of Independent Schools (CAIS). The property on the corner of what is now Foothill Boulevard and Crown Avenue was purchased because the large house on the corner of the lot, called Skillen House, could house boarders, the dining room and kitchen and administrative offices. From the beginning, Flintridge Prep was known for its rigor and its commitment to a well-rounded education. Sports and academics were equally encouraged and the school was well-known for its swimming team; the first thing Lowery built on the campus was a pool. Flintridge weathered the Great Depression, but World War II had a devastating impact on students, alumni and faculty. Ninety-one members of the administration and student body served in the war, and five died). By the early 1950s, Flintridge Prep was taking part in the Southern California prosperity boom. The school established an alumni association, purchased adjacent land and built new classrooms and a chemistry lab. A gym was completed on the school’s 25th anniversary in 1958, the same year boarding was eliminated and the student body numbered 240. More expansion took place in the 60s, including a two new classroom buildings and a new pool. Mr. Lowery and many of the founding teachers retired, and the school, like the country, saw change and evolution, if not revolution. A series of five headmasters took the helm from 1965 until 1975, when Edor Anderson Jr. became headmaster. In 1978, Prep began to eliminate the lower grades, and the Class of 1987 was the last class that started in 6th grade. In 1979, the Board of Trustees voted to admit girls for the first time. Cathy Bathke ‘80 was Prep’s first female graduate. The school added a full complement of girls’ sports soon after. The Norris Auditorium, computer lab and science labs were completed in 1985. Flintridge Preparatory School reached true 50-50 gender balance in 2000. Under the administration of Peter Bachmann, who was named headmaster in 1991, Prep added vital performing arts, visual arts and human development programs. The centers of many of these programs are the Randall Performing Arts Center (2000) and the Chandramohan Library (2007). Human development became an essential part of the liberal arts mix, and Prep established the Idea Lab with a grant from the EE Ford foundation in 2012, encouraging innovative programming, including partnering with schools and a hospital in Nicaragua and the establishment of the Prep League’s first Athletic Council on Leadership. Bachmann prioritized faculty professional development and increased salaries, as well as student financial aid and overall giving from parents, parents of alumni and alumni. Prep was named one of the country’s top 15 most-challenging independent schools by The Washington Post in 2013. Currently 66 faculty and 36 full and part-time staff work with a student body of 500 seventh through 12 graders on the 7.5 acre campus. In its history, the school has had ten headmasters. Peter Bachmann began his headmastership in 1991.